Penina Taylor’s inspirational, dynamic and warm style is a reflection of her love and respect for everyone she meets. Born into a secular Jewish home in Lakewood, NJ, Penina was completely disconnected from the Judaism which surrounded her. As a result of a traumatic childhood, Penina connected with God and found personal redemption through Christianity while in high school. However, after 17 years in leadership in the Christian and Hebrew-Christian communities, Penina Taylor’s studies brought her to a revelation that turned her world upside down, and in 2000, Penina embraced the faith of her forefathers by returning to Judaism. Penina considers it her personal mission is to empower people with Torah truths that enable them to live a fully expressed and fulfilled Jewish life while realizing the abundance that God wishes to bestow on all His people. Besides being an inspirational and motivational speaker and author, Penina is a trained in Narrative Therapy, Crisis counseling and Pastoral Counseling. Penina also served for four years as a presenter, the head women’s coach and coach trainer for The Possible You Seminar and now Penina runs the Teshuvah.com conversion program under the auspices of Rabbi Shlomo Riskin as well as several online spiritual mentoring groups. Penina also gives classes and seminars on marriage and living intentionally. 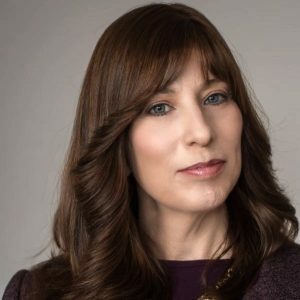 With Penina’s incredible personal story and dynamic speaking style, she is a popular speaker for seminaries and yeshivas in Israel as well as high schools, college campus outreaches and synagogues around the world.